In need of some woodwork? 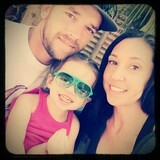 Chances are you’ll want to hire a Fountain Hills, AZ carpenter. Carpenters work with all types of wood and can specialize in many different areas, including framing, finishing and custom-made furniture. Make sure you choose the right Fountain Hills carpenter for your job by asking plenty of questions, viewing their past work and reading reviews. 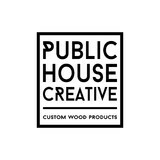 Public House Creative has enjoyed providing custom, hand crafted wood products and cabinets to customers since 2012. Based out of Phoenix, Arizona, Public House Creative prides themselves on building quality products that their customers design or give inspiration for. Specializing in Residential Interior Trim work. 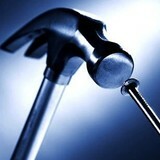 Founded in 2001 with over 4000 clientele, enhancing thier homes with quality workmanship and very competitive pricing. LIFETIME warranty on installs! No deposits required. Never hesitate to ask any questions! Custom wood work instantly increases the value of your home and will last the test of time! You deserve the warmth, class, prestige and richness that wood brings to your home. We never "cut" corners, but instead go the extra mile to hear you say..."That looks great!". Quality craftsmen are truly hard to find,...you will be pleased you found this one. We are a family owned and operated handyman company specializing mostly in custom woodwork,we take pride in what we build and customers satisfaction is our number one goal,if you can dream it we can build it. The Countertop Center" we pride ourselves on building and installing FLAWLESS countertops in FORMICA® and WILSONART® laminates. We have 5 years of good references who stand behind us, our customer service and our kitchen countertops and cabinets. At Wonders of Wood, our goal is to not only help you design and build your dream cabinets, but to make the process easy and enjoyable for you. We also specialize in cabinet refacing, refinishing, painting, and repair to give your existing cabinets a fresh look at an affordable price. Small shop specializing in rustic dining room tables and interior barn doors. Jake, owner and operator of Adams Barn Doors, has been working as a residential and commercial carpenter for over 5 years, also making furniture as a successful paying hobby during that time. After work Jake would go home and research carpentry topics such as how build pieces that allows the wood to expand and contract freely throughout seasonal humidity changes without destroying itself. Now Jake is a full time business owner, creating beautiful custom sliding doors, and occasionally producing furniture pieces. Jake takes extreme pride in his work and considers every thing he builds a piece of functional art, message or call to decorate your house!